Gov. 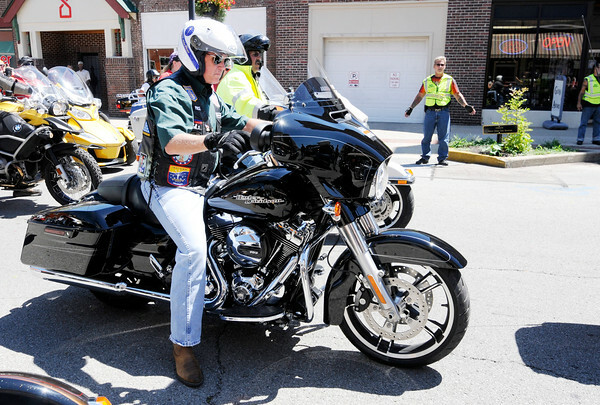 Mike Pence gets on his Harley Davidson to leave on the next leg of his ride during the Annual Ride With the Governor motorcycle ride on Friday. The riders stopped at Dickmann Town Center Park for a few remarks and refreshments.